Whether it be tag, hide & seek or just a simple story…getting a group together under the cover of darkness is always exciting. There’s a certain mystique of the unknown and the unseen that makes your heart pump faster and your palms a little sweatier. Gaming has used darkness for generations to amplify settings, most notably in horror games, but not much else that immediately comes to mind. 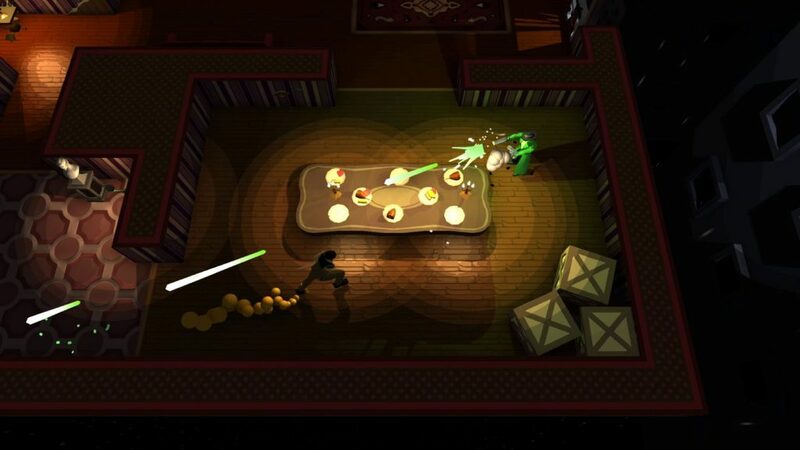 The team of American developers at Mild Beast Games decided to combine the thrills of playing in the dark with a multiplayer twin-stick shooter. Not an easy task, given the fact that games where you occasionally can’t see your character have potential to create a disconnect from players. After spending some time with At Sundown: Shots in the Dark, I can safely put those concerns to rest. Playable online and offline, with up to four humans or three bots, At Sundown makes its case as both a local party game and one that also appeals to the solo gamer. Before the action begins, players can choose from roughly a dozen maps and a handful of weapons to start with. These include: shotguns, pistols, sniper rifles, revolvers and swords. Available options give you a lot of control over how each match is played. You can allow players to switch weapons after dying, toggle powerups on/off, force players to use the same weapon and even limit them to a single clip until all clips are emptied. Most players are familiar with modes like deathmatch, king of the hill and team deathmatch, and they’re here. But the inclusion of modes like swordsmaster (race to sword and kill everyone in one life) and back to basics (no running/dodging, one shot only with shotgun) add variety and replay value. My comment about the one dozen maps was both true and not true. Each area such as the garden or subway has three variances. While they look similar in color and setting, they do provide different environmental factors that affect gameplay. 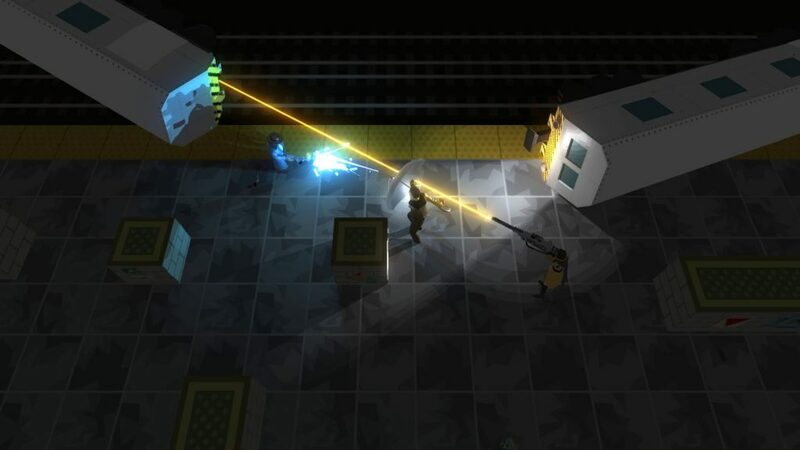 For example, the subway levels have a train that will speed across the map, killing anyone in its path. The reactor level has chemical spills that once walked in will reveal players footsteps for a limited time. 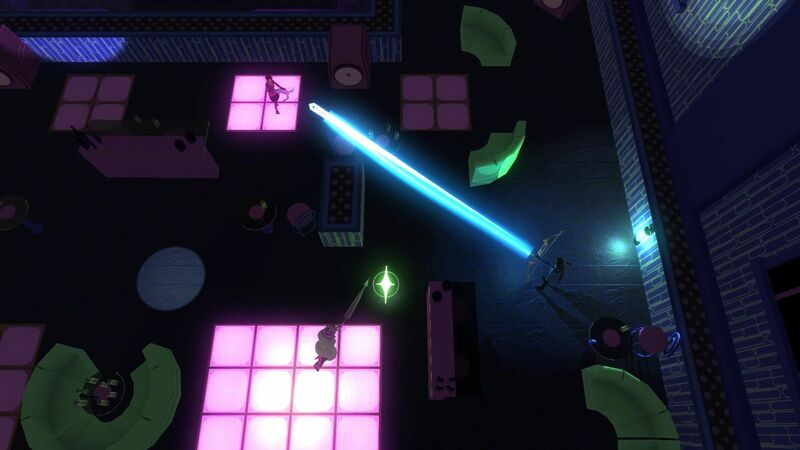 Players in the factory would be wise to avoid the moving lasers, as they will sound an alarm and a spotlight that reveals your location. Just to be clear, entire maps aren’t dark…there are plenty of light sources in the form of lamps or candles. Players who can’t seem to find where their character is can tap the A button to reveal an icon at their location, but this is also revealed to opponents as well. What it all amounts to is players running around shooting eachother, avoiding environmental obstacles in a race to earn the most kills. It’s fast, frantic and fun! We just unpacked a lot! A handful of great levels each with three different versions. Plenty of weapons (and more that unlock as you increase in experience) and customization in the form of different rules and bot skill levels. All of the same applies to the online modes with the exception of bots, as there are none. Quick play allows you to jump right in and search for games in the following modes: 1v1, 2v2, Free For All and Arcade; ranked modes are also available in 1v1 and 2v2. Players can also choose to host their own games with their own rules as well. During my testing I found it easy to connect and play against my son’s account, but when trying to play with another reviewer in South America (I’m in the USA), we couldn’t connect to ranked games. While I’m not sure how popular online will be, it’s a very much desired and appreciated option. Rounding out the package of At Sundown is the training mode, which lets your practice each of you acquired weapons. There are 12 trainings with two difficulties each: basic and advanced. Each training is like a gauntlet where you must run through, usually destroy all the targets with said weapon, and reach the finish line. These are timed and medals are awarded appropriately; these are bronze, silver and gold as you would expect. The training is both fun and useful, but if I ever get gold medals in all areas I highly doubt I will play it again. If I had any gripes with the game, it’s the lack of personality from the characters. Each has such a unique look I would love some back story or even some campaign modes to flesh them out a bit more. As far as achievements go, At Sundown has 20 for a total of 1000 gamerscore. Some are basic such as completing a tutorial mission and playing your first match. Others require more finesse like killing someone on a killing spree, winning with a triple kill or using 5 different weapons in a match. There are a handful of online achievements for winning a ranked match, three ranked matches in a row, a total of 10 ranked matches and playing with someone on your friends list, among others. I was able to unlock all of the online achievements easily by simply matchmaking with my son. There are other achievements that require some grinding but nothing too obscene. 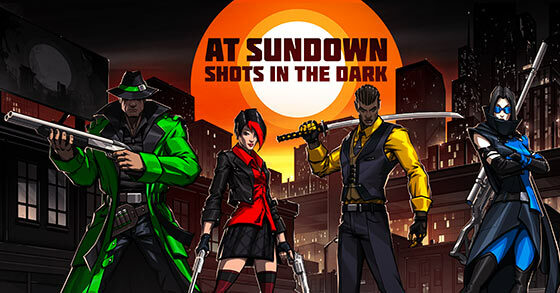 At Sundown: Shots in the Dark is a well-presented shooter that shines best as a party game. If you aren’t the party-going type, there is plenty to keep a solo player busy. Players will appreciate the online options and achievement hunters shouldn’t feel intimidated by the list. With most games in this genre, the amount of replay value depends on how and how often you plan on playing. 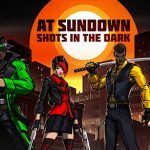 Regardless, At Sundown deserves our praise and your attention as a unique entry into the shooter market. A game code was provided by the publisher for the purpose of this review.